Teacher Ms. Gigi Ho demonstrating to students how to carve a seal stone. Stanley Ho East Asia College (SHEAC) organises a series of seal carving workshops to introduce the traditional Chinese culture and basic techniques of seal carving. Students were taught to design and create their own seals in the classes. 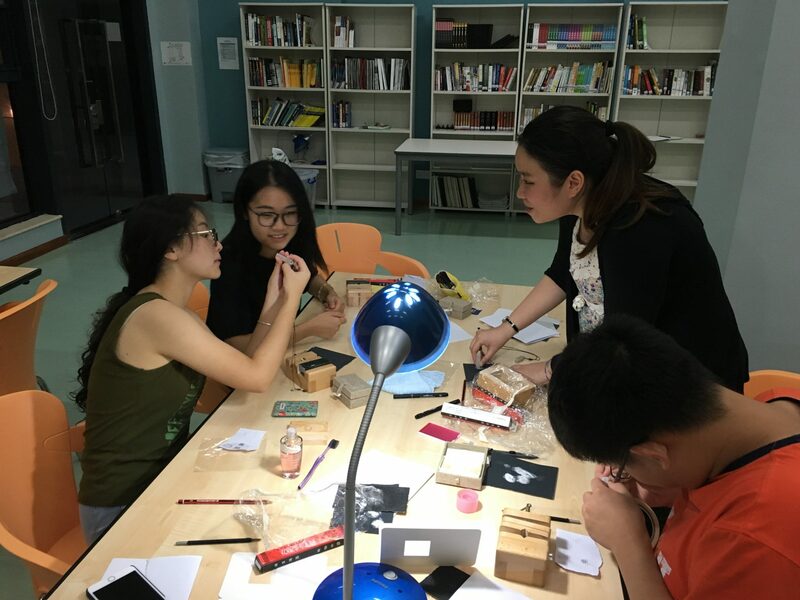 The College invited Ms. Ho Weng Chi, Gigi, a Chinese calligraphy and seal carving artist, to teach two types of carving methods, respectively, the “red” seal and the “white” seal. Firstly, Gigi demonstrated the basic carving skills. 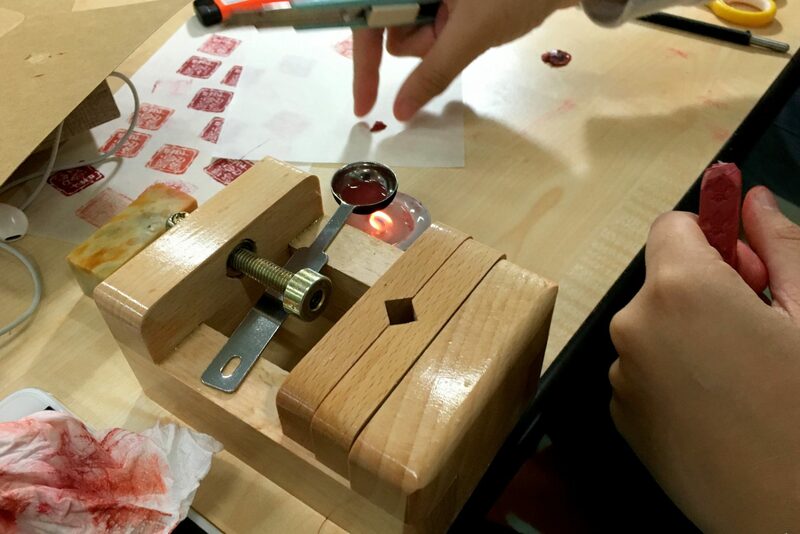 After the participants decided the Chinese characters and designed the layout of their seals, the teacher guided us to copy the seal design onto the seal surface by dropping some nail polish onto a piece of paper photocopied with the seal design. Then, to create the seal is to carve out the parts without any ink copied from the scratch. 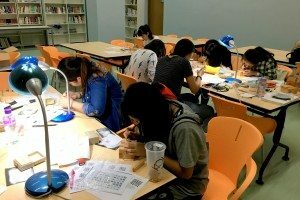 Students focusing on seal carving. The first two sessions featured the “red” seal carving. Dipped in a red ink pad and then stamped on a white paper, the lines of the characters are printed in red. 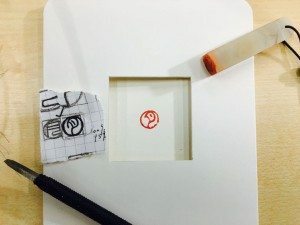 Due to more technical processes involved, Gigi chose a small seal stone for students to carve one character. Each of the seals was charmingly attached with a string so that it could become a necklace. In the third and fourth classes, students learned to create “white” seals (the characters would be shown with its background in the ink colour such as red). Since this method requires no border processing, the techniques are simpler. 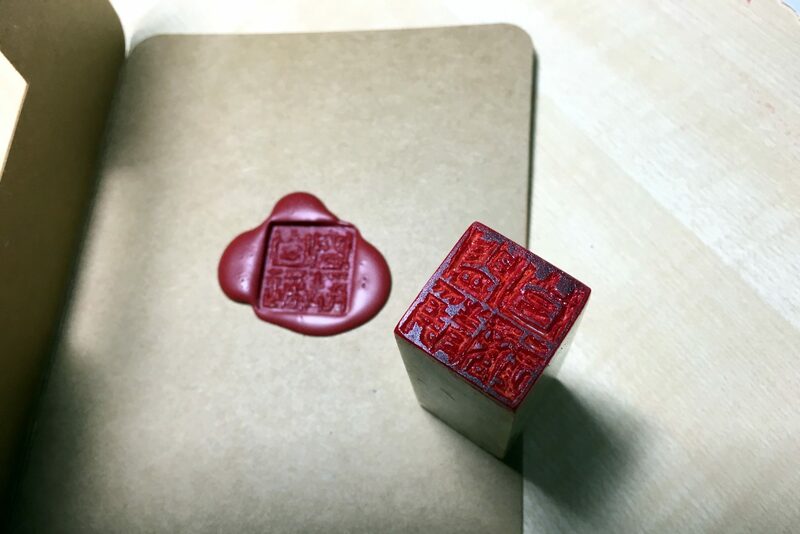 Participants carved three or four characters, and applied the wax seal to do the stamp, giving a fusion of Chinese and Western traditions. Students were very careful when carving, as if a mistake is made, one will need to wear away the original layer to make the scratch and carve it all over again. 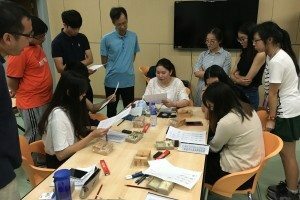 During the four nights, not only did the students gain a better understanding of the traditional Chinese art through practice, but they also made unique seals of their own that can be used in the future. In addition, because of the level of focus required during carving, students also cultivated higher levels of patience and perseverance, and found a moment of serenity. Students carving “red” seals under the teacher’s guidance. 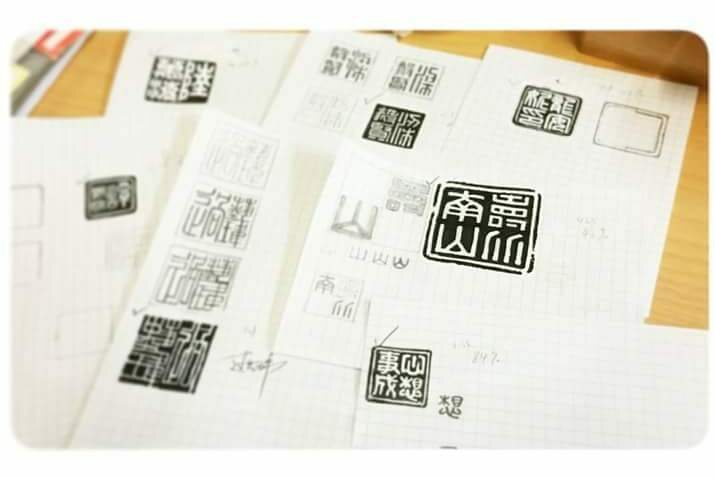 Drafts of students’ “white” seal designs.